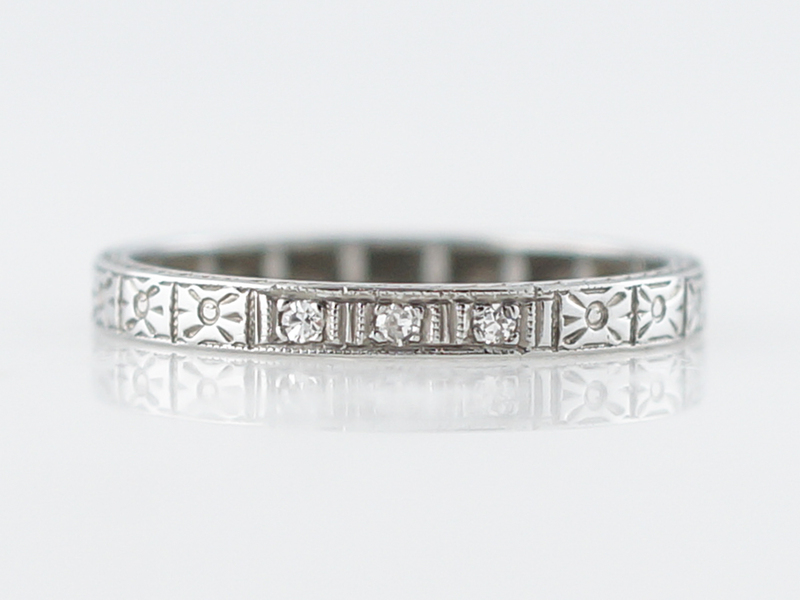 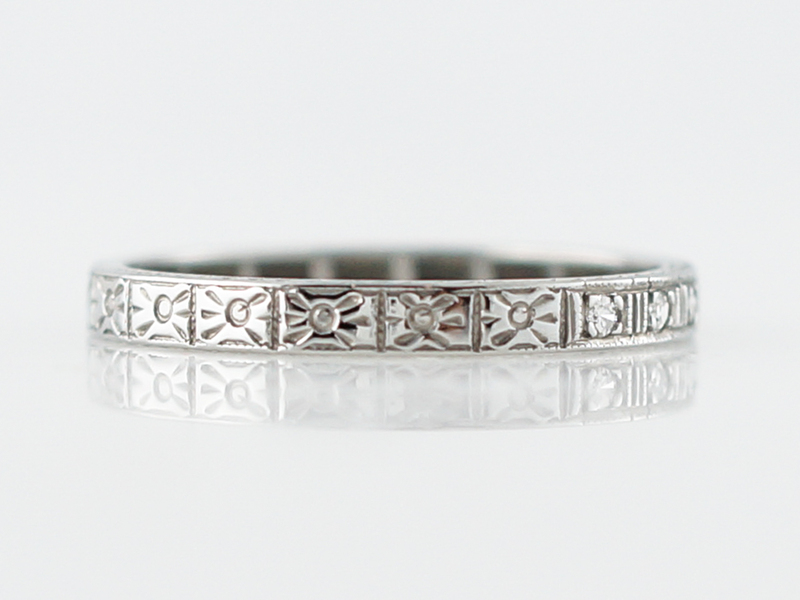 This original Art Deco orange blossom wedding band is finished in 18 karat white gold. 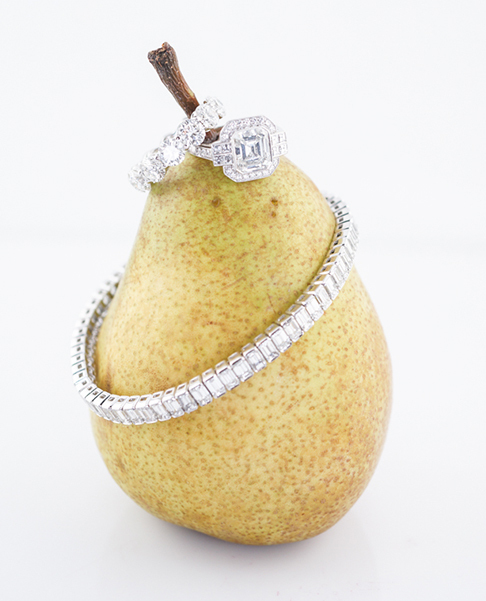 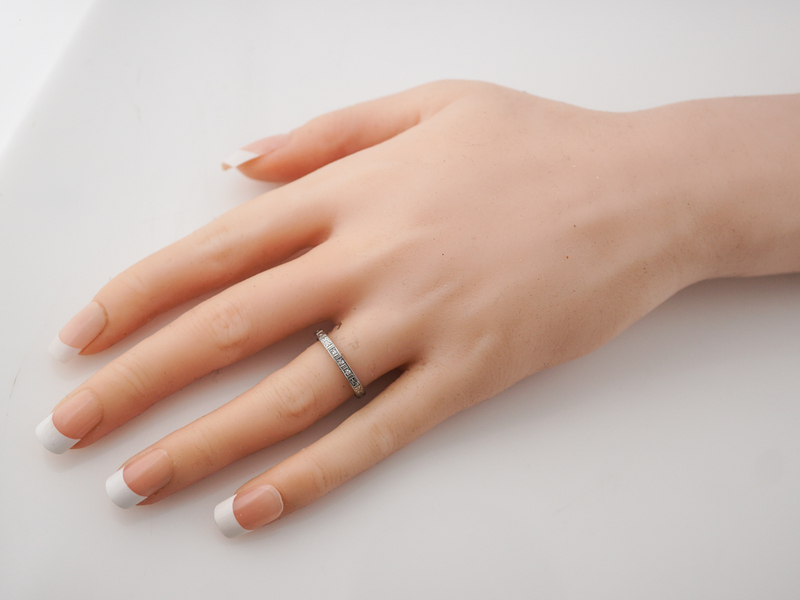 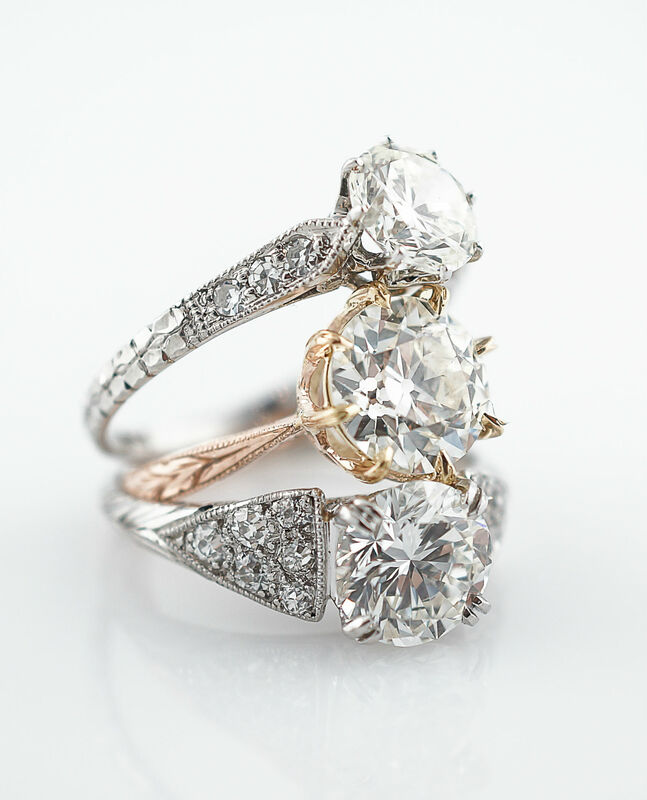 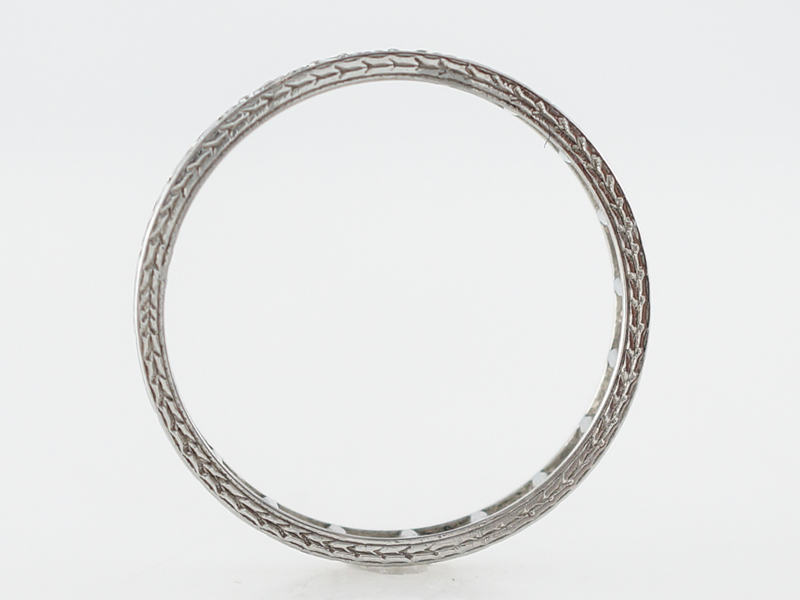 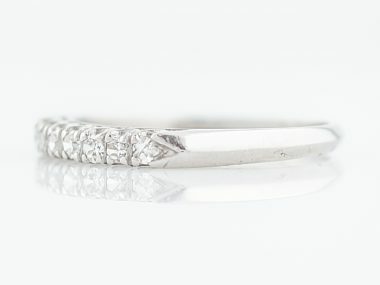 The band consists of patterns of bursting lines etched into the band and includes .05 carat single cut diamonds in a delicate three stone display. 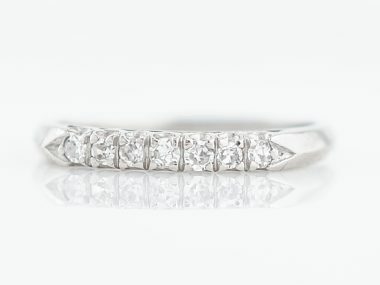 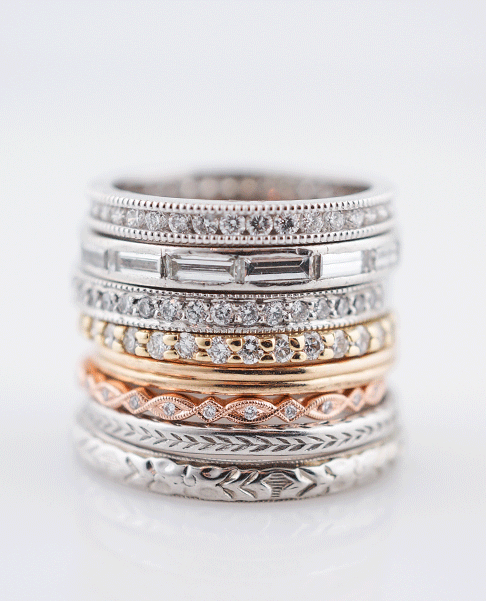 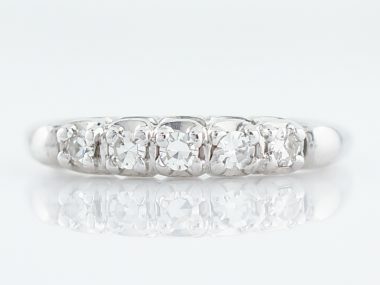 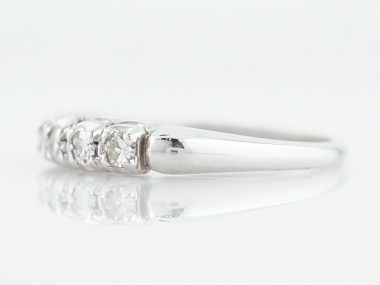 This band looks great stacked with other diamond bands to give texture and added sparkle and also works well with any of our antique engagement rings. 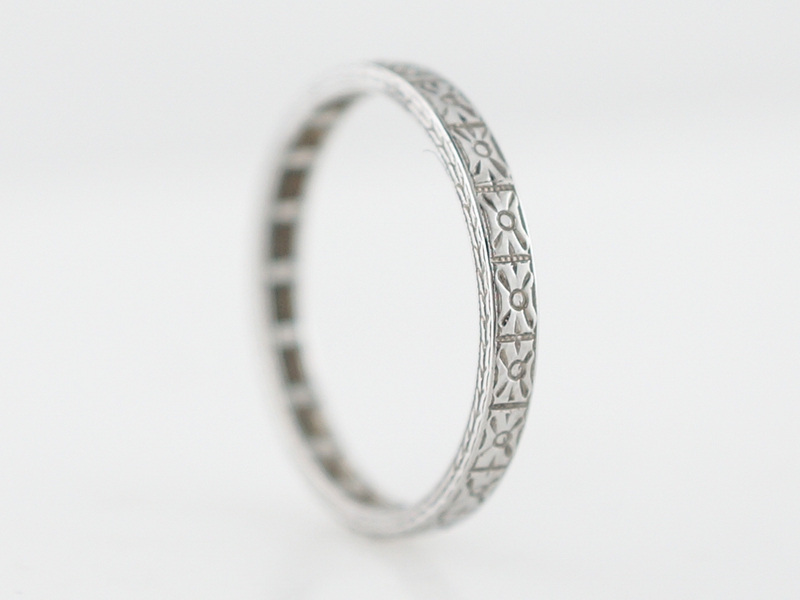 Engraved wedding bands are potentially sizable.